Pastor J. Mark Martin is the Senior Pastor of Calvary Community Church, a non-denominational fellowship of believers in Phoenix, Arizona. Pastor Mark grew up in Medford, Oregon and later attended college in Northern California where he graduated with a B.A. in Theology. While attending college, he met his wife Leslie and they now have three grown children. Mark has been teaching about the grace of God for over 30 years. Pastor Mark and Leslie started Calvary Community Church in 1982 with eleven people. In 1984, Pastor Chuck Smith of Calvary Chapel of Costa Mesa, California invited Pastor J Mark Martin and the Calvary Community family to join the Calvary Chapel fellowship of churches. Today, Calvary meets at two campuses in the northwest Phoenix area. The Sunday morning services are simulcast live between both campuses making Calvary one church in two locations. The Central Campus is located at I-17 and Thunderbird Road in Phoenix and the Northwest Campus is at 59th Ave and Bell Road in Glendale. Pastor Mark’s grace-oriented teaching ministry has been used over the years to draw thousands into a close, intimate walk with the Lord. His Bible-teaching radio outreach, Grace Upon Grace, airs locally each weekday and on the church’s 24-hour web-radio station, calvaryradio.com. Through Calvary’s website, calvaryphx.com, services are streamed live and archived messages are available free of charge via digital download or podcast. 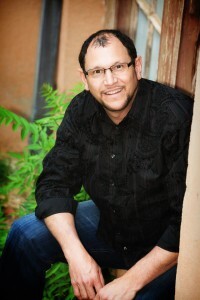 Pastor J Mark Martin is the author of a daily email devotional, GraceMail, and two one-year daily devotional books, Psalms Today and Grace Today.